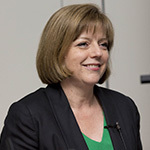 Ahead of the NHS’s 70th anniversary, the Chief Nursing Officer for England shares an update on the #70nursebloggers and #70midwifebloggers initiative and introduces two upcoming webinars for all nursing, midwifery and care staff to learn more. On 24 April I wrote a blog and launched our #70nursebloggers and #70midwifebloggers initiative to encourage nurses and midwives to blog about their work, share ideas and showcase best practice. I am delighted that so many of you have got involved and blogged about your work and experiences; we are already well on the way to reaching our target of 70 nurse and 70 midwife bloggers. Since the launch, just three weeks ago, almost 70 nurses and 50 midwives have blogged about their working lives. From personal journeys to the sharing of knowledge, skill and expertise, the blogs have provided an amazing insight into nursing and midwifery today. I have read blogs written by student nurses and midwives, researchers, retired practitioners, educators, general practice nurses, end of life care specialists, professors, health visitors and school nurses from across the UK and as far afield as America and Nigeria! The main aim of the #70nursebloggers and #70midwifebloggers initiative is to inspire at least 70 nurses and 70 midwives to blog about their work and in doing so, share ideas and spark debate that can help shape the NHS of the future. Many nurses and midwives have stepped up to the challenge already – we now need to see this replicated across each of the four regions of the country! Teresa Chinn of @WeNurses has collated the blogs into two Twitter moments that can be found online at #70nursebloggers and #70midwifebloggers. Blogging provides a platform to showcase the fantastic contribution that our professions have made to healthcare over the years and is also a great opportunity for nurse and midwife to demonstrate how they are implementing Leading Change, Adding Value, by identifying and reducing unwarranted variation and delivering the triple aim outcomes of better outcomes, experiences and use of resources. I’m sure you will have heard of the fantastic work that Teresa Chinn leads. She is a registered nurse and social media expert, having started her Twitter account @WeNurses to connect and network with other nurses. WeNurses now has 74,000 Twitter followers and Teresa provides social media services to the healthcare industry. I’m pleased to say that Teresa is working in partnership with us on our country wide blogging initiative and has agreed to deliver two webinars to help nurses and midwives blog. You can help us reach the magic number of #70nursebloggers and #70midwifebloggers in each region and even exceed it. I look forward to reading more of your blogs over the next few weeks.